Enjoy Summer Markdowns from $19.97 | Up to 80% OFF! + Get a Second Pair at 50% OFF! 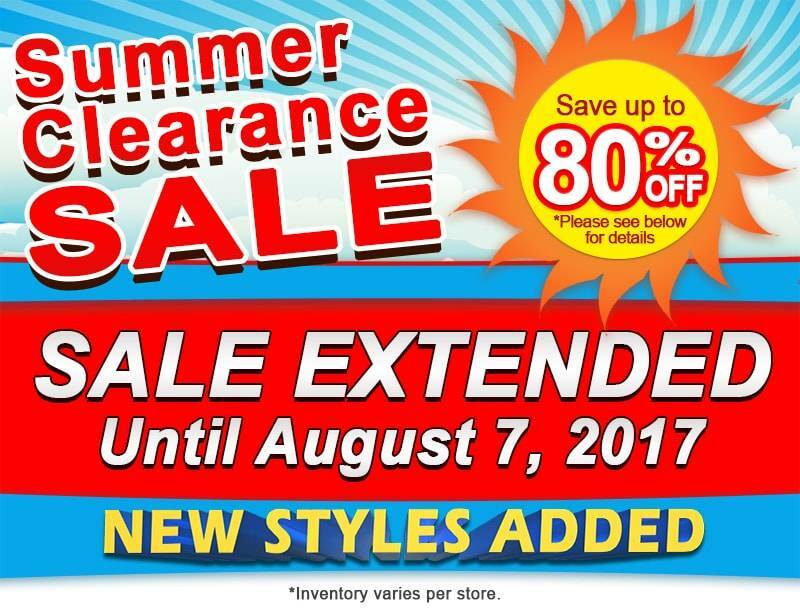 Our SUMMER CLEARANCE SALE has been extended until August 7, 2017. New Aetrex styles have been added starting at $65.97 (50% OFF). Find select styles marked downs between 30% to 80%. Select shoes will be priced at $19.97 and up. Offer cannot be combined with other promotional or discount codes. CLEARANCE STYLES ARE FINAL SALE – no refunds, returns or exchanges. Offer applies to all in stock merchandise only.